We will MATCH or BEAT any Competitor’s Price! Scuba diving equipment allows you to visit the underwater world by making it possible to breathe, see and move comfortably while below the surface. Gear helps you change from being a land-dweller to somewhat of an aquatic being – if only for a little while. A mask lets you see clearly. A scuba regulator and tank provide the air you need. Fins allow you to swim efficiently, and a wetsuit helps you stay warm. Whether you’re just starting as a scuba diver or you’re an experienced diver looking for new equipment, you’ll find helpful suggestions and tips in this section. Keep in mind that fit, comfort and suitability are the three most important considerations when choosing gear, but you don’t have to sacrifice color coordination and looking good. 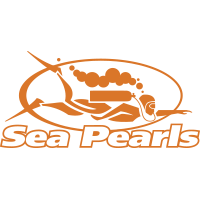 Stop by our store and talk to one of our friendly professional trained staff members about any more information and assistance in finding the best scuba equipment for you. Here at Adventure Locators, we know that buying your own dive equipment is the best way to ensure years of fun and safety underwater. We recognize that dive equipment is an investment, and because of this, we offer several assurances. When you buy gear from Adventure Locators, know that you are purchasing gear from an authorized dealer and from knowledgeable and professional staff. With Adventure Locators, rest assured you are buying from an authorized dealer, so all warranties are honored. What you may not realize when it comes to pricing is that throughout the dive industry, dive gear manufacturers specify the “Minimum Advertised Price” of gear, and all stores (online or offline) must adhere to this pricing policy. However, we are able to offer some things that other shops cannot. We add value by showing you how to use the gear, and offering you a FREE Equipment Specialty course which teaches you to manage basic repairs and adjustments. You’ll also learn more about how your gear works, making you more comfortable with it and better prepared to take care of your investment.You can’t do that online! Here are some other added in features that we offer at Adventure Locators. Authorized Dealer Status: Ever see a $500 dive computer for only $250? That’s because they’re an unauthorized dealer and the product is NOT UNDER WARRANTY! As an authorized dealer, your equipment ships to us directly from the manufacturer and carries with it the FULL manufacturer’s warranty, unlike many online retailers. Free Pool Test: If you purchase a package from us, consisting of a BCD and a regulator, we will arrange to meet you at the pool, make sure its properly fitted, instruct you on its use and give you a chance to get in the water and try it all out, all at no additional cost. We want you to be happy with your purchase and make sure it is the set up right for you. Student-In-Water Fit Guarantee: All new Open Water students receive a 15% Student Discount on their mask, fins and snorkel. If after using it in the pool, any of the equipment is uncomfortable, leaks or you are unhappy with it for any reason, come back in and we will exchange it for another that works better for you. Free First-Year Checkups: If you buy your regulator or BCD from us, bring it in after your first year of use. We will perform a check up for free – this is not a full servicing, but rather a test and adjustment if necessary to keep it working right for you. Free Parts for LIFE: If you buy your regulator from us you will receive the Free Service Kits from us for as long as you own it. Most of our manufactures offer Free Parts For Life program to the original owner for as long as you own it. This Free Parts for Life program is only for the Full Service which is typically done every two year. You will receive a warranty card with all the information on what is included in this program. Our Promise to Serve: If you have any trouble with anything purchased from us, we will do whatever it takes to make sure it is taken care of immediately. If you are in a rush to get to the airport or to go on your trip and we cannot get it taken care of in time, we will loan you whatever you need to have a great dive trip. Where Will You Use Your Scuba Gear? You can dive almost anywhere there’s water, and the scuba gear you use will vary slightly based on the dive environment. There are four general categories for dive equipment, but some gear fits in all categories – for example, the same mask is fine for all environments. Tropical scuba equipment – For diving in warm (24ºC/75ºF and up), clear water. Temperate scuba equipment – For diving in moderate temperature (cooler than 24ºC/75ºF) water. Cold-water scuba equipment – For diving in water cooler than15ºC/60ºF. Technical diving scuba equipment – Used by very experienced, highly trained divers to visit environments beyond the normal limits of recreational diving. * ALL RENTAL IS PRICED AT A 24 HOUR RATE AND IS NON-REFUNDABLE ONCE RENTED.